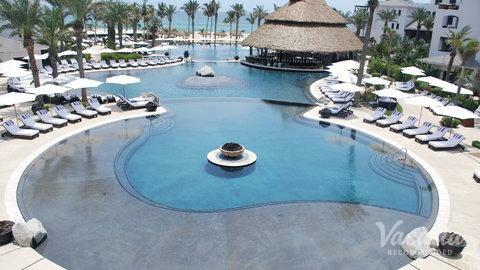 Cabo San Lucas, also simply known as Cabo, is a popular Mexican vacation destination located in Baja California Sur. 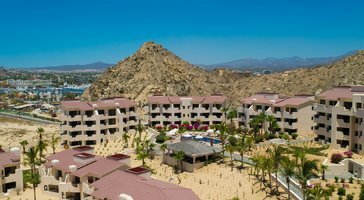 In addition to its beautiful beaches and sizzling nightlife, you'll find all manner of Cabo vacation rentals, Cabo condos for rent, and Cabo villa rentals. This doesn't mean that you shouldn't be careful about where you stay and whom you book with. 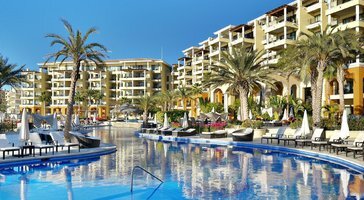 When you work with Vacatia, you'll only find highly recommended Cabo San Lucas condo rentals, Cabo San Lucas timeshare rentals, and Cabo San Lucas resorts. 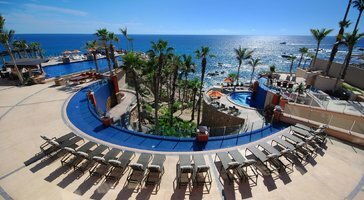 Our comprehensively organized listings make it easy to find the best Cabo vacation rentals. If you have any questions, you can simply start an online chat with a member of our Guest Care team. When you work with Vacatia, you'll know exactly what you're getting before you arrive. 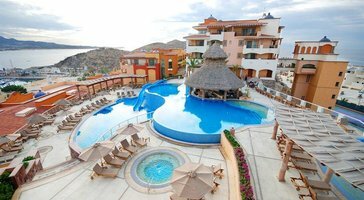 When you start looking for vacation accommodation in Cabo San Lucas, you're probably looking for a little bit of everything. 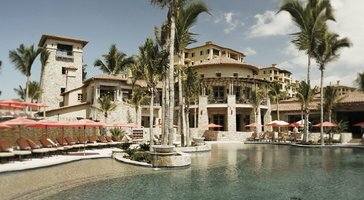 Many vacationers want a combination of resort-style benefits and the comforts of home. This is why we offer resort residences. When you book this kind of lodging with Vacatia, you'll get your own living room, dining room, and fully equipped kitchen. You'll often have an in-unit washer/dryer, too. This means that you can hang out with your friends and family in your own space, prepare a few meals to save on food costs, and keep things light and fresh with a quick load of laundry. In addition, you'll get those high-end services and amenities like daily housekeeping, concierge check-in, planned activities, gourmet on-site dining, luxuriant spas, and more. You'll get the best of both worlds when you work with Vacatia. Cabo San Lucas, often as Cabo, was once a tiny fishing village. Now, this Mexican city is among the most popular tourist destinations. 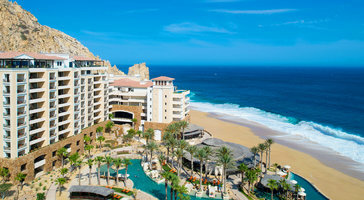 Cabo San Lucas is part of Los Cabos, located on the edge of Baja California Sur. 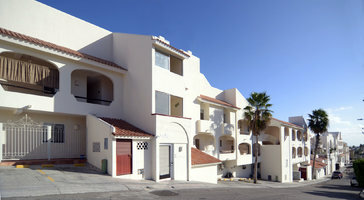 It is a high-energy locale that sits opposite the more traditional and laid-back San Jose del Cabo. Cabo San Lucas is full of funky bars, and it is home to the high-end Luxury Avenue Mall on the marina. 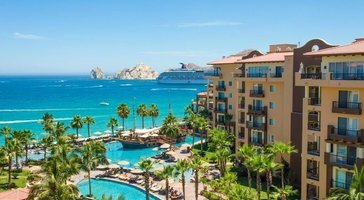 Cabo San Lucas is all about fantasy, adventure, and lots of sun. 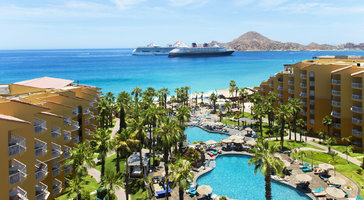 It's no wonder that Cabo attracts so many visitors every year. 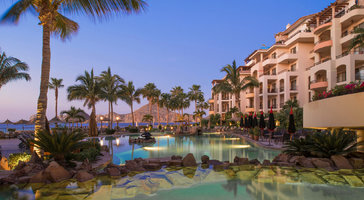 Cabo has everything needed for a thrilling or relaxing getaway experience. Stunning natural splendor and world-class activities and attractions will surround you. 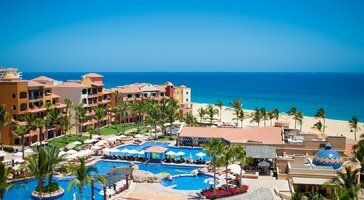 While there are a number of popular activities in Cabo, such as horseback riding, ocean fishing, and whale watching, it's hard to beat the city's incredible and swim-worthy beaches. 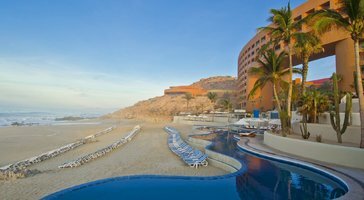 At the end of each fun-filled day, you can rest and reflect in one of our Cabo San Lucas vacation rentals or Cabo resorts.